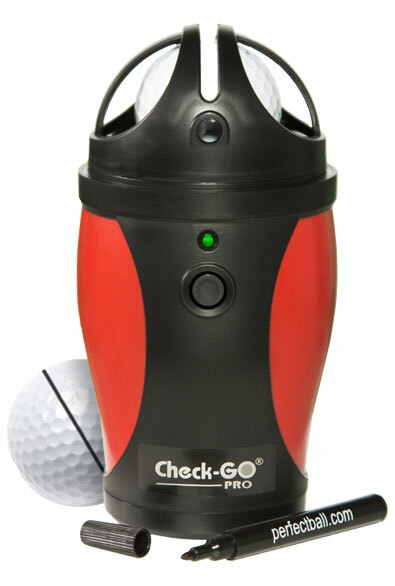 While spinning a golf ball at 10,000 revolutions per minute, the Check-Go automatically realigns the golf ball's heaviest areas along its equator, so that a less than perfectly balanced golf ball no longer has a tendency to wobble, but rather roll more accurately on the green. 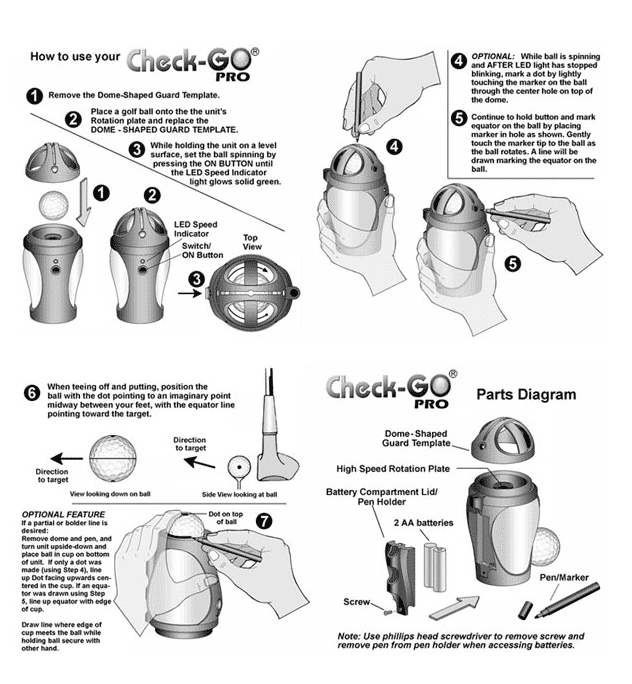 The Check-Go will not make an unbalanced golf ball perfectly balanced. 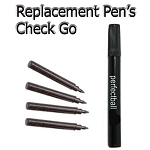 What it will do is show you the optimal balance point of each and every ball you put in play. Teaching pro extraordinaire Roger Gunn, who has numbered among his students PGA Tour pros Tom Lehman and Steve Pate, says. 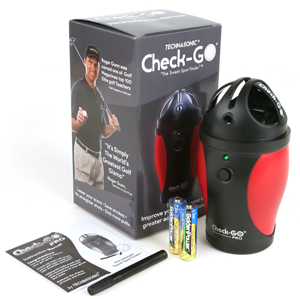 "I don't get excited about too many things at the PGA Show, but the Check-Go was definitely the product of the year. It is simply the world's greatest golf gizmo. I had to have one myself within 30 seconds of seeing it work. I spin every ball I use prior to putting it in play."